At Haier we're all about making your life easier. 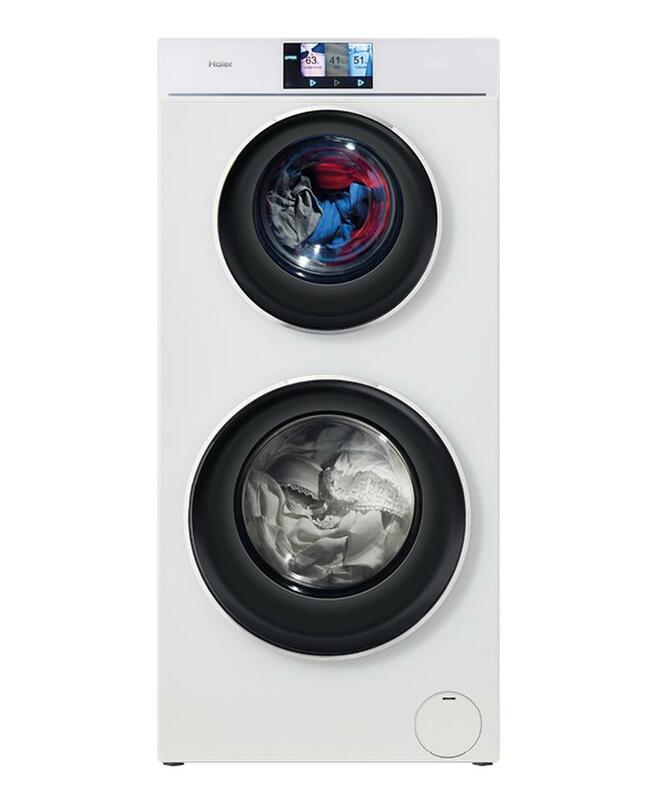 The TwinTasker™ Front Load Washer combines innovation and practicality to create a new benchmark in laundry efficiency. With two independent wash cycles, you can wash each load separately or at the same time. Do everything together, but not together together. Direct Drive Motor technology requires less moving parts to power the two independent drums. That means the TwinTasker™ Front Load Washer is quieter & more efficient. The unique platinum pillow drum is designed so the TwinTasker™ Front Load Washer is more gentle on your clothes during the wash cycle. The pattern maximises water extraction without pulling on clothing threads. It's always good to throw a little light on the subject. We've put LED lighting in each drum to illuminate your washing during the cycle so you can see how it's tracking and make sure nothing is left behind when your wash finishes. With two separate drums and a wide range of different wash programs including baby care, allergy care, bulky and quick wash, you have the flexibility to wash silk and sportswear at the same time.